So another year has passed and it’s time to take a look at the best print on demand sites to sell your t-shirt designs on in 2018. You can still view our Best POD T-Shirt Services 2017 post which is still valid in many but scroll down for a more up to date look into the best sites to upload and sell your T-shirt designs. Following on from 2017, On Demand print services are still on the rise and if you put int the time, there is money to be made. You don’t need to worry about the usual complexities of starting and maintaining a business and costs that you would normally expect are removed as discussed in our How To Start A T-Shirt Business For Free Article. The big decision you need to make is which of these on demand t-shirt printing sites to go with. The only real answer you should ever hear is that it isn’t just a single website. The more sites you submit your designs to, the higher the chance for profit. From a maintainability/time perspective we suggest you do target a specific subset of sites. 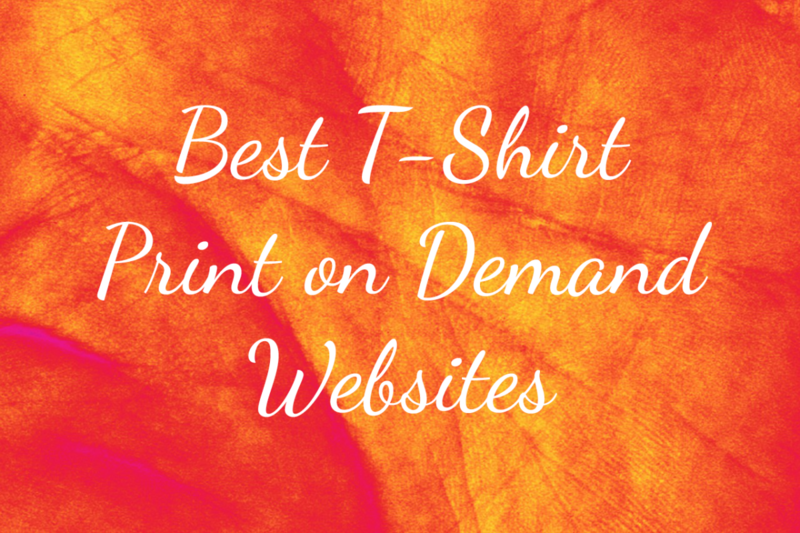 This is where we come in with our extensive 2018 review of the best print on demand websites to sell your tees. The sites we’ve listed for you below are the top picks and widely regarded as best of the best. We also have an “best of the rest” list at the end of the article which are still great picks if you’re looking to branch out after you’ve established yourself elsewhere. Why Choose Merch By Amazon (Amazon Merch)? Just think about it, when you want to buy anything online, where do you go first? Amazon! We also have our ongoing Amazon Merch series of articles, so make sure you run through those articles to really maximize your profits on the Amazon platform and avoid any pitfalls. 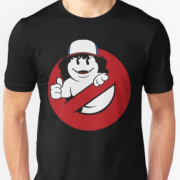 Redbubble is now one of the most established and profitable online marketplaces for t-shirts. The more traffic, the more views and therefore the more sales you’re likely to make. Redbubble gives you various social pages and routes into your products. This again increases the traffic to your designs. 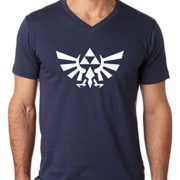 The shop is the obvious one – a direct point of entry to you individual items whether that be mugs, t-shirts etc. The portfolio is similar but actually shows your designs first and then customers can click through into products. It’s a good alternative for those looking for a nice design rather than a particular item and can actually lead to sales that would not have occurred otherwise. Your profile and the ability for others to follow you, or even for you to follow them provides a mini social networks and yet another route to promote your designs and make a name for yourself. Redbubble really shines with analytics. It seems like a basic feature but my favourite aspect of analytics shows you how many times your tee was actually viewed. This means that you have the ability to figure out which of your designs are the most popular. From this information you can then create more similar designs or even push for marketing the most popular designs you have. Templates are provided for all products (including t-shirts of course) which makes the design process must more straight forward. Once you have your design set and ready to go you get a nice clean upload interface where you can reposition and resize your design on a virtual t-shirt mockup to make sure that everything looks as it should and is oriented as you intended. Redbubble really does tick all of the boxes, gives you flexibility, an easy to use service, self set profits and high traffic. A must use marketplace for your designs. Teespring used to be a POD service that I avoided due to it’s campaign structure which I couldn’t imagine being too popular with customers. It was similar to Kickstarter in that if the campaign didn’t reach it’s goal then no products were sold and no money was earned. However this is not the only option anymore and this is why the site appears on our top list. 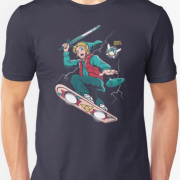 You can now list T-Shirts in a the same way that you do for Redbubble for example – the “usual” way that an online marketplace works. Once you sell 10 of a single t-shirt an option opens up to you to allow your shirt to be automatically listed on amazon.com. Obviously this is a great opportunity due to the increased traffic and exposure and allows you to take advantage of Amazon’s gigantic user base. It’s a good alternative while you’re waiting to be accepted onto Amazon Merch. Setting your own price (the final price of the shirt) means that you get to set your own profits. This flexibility is crucial if you’re wanting to make a decent amount of money on a t-shirt print on demand site and unfortunately not all services offer this. In my opinion, Teespring easily has the best design upload/preview tool and for simple text only designs you can even create them right there in the tool. A very nice looking, fleshed out preview to show how your design will look on a tee with real time resizing and placement is a brilliant addition. You’re given an extensive collection of fonts to use directly in the designer view which is one of the key strengths of the Teespring offering. Zazzle is what I like to think of a the father of all current POD services but that’s not to say it is old fashioned or out of date – quite the opposite actually. Over the years the tools available to you and the the quite frankly enormous amount of choice in terms of products make this a catch all offering that lets you spread your designs across many different niches. Commission is set as a percentage, which essentially is what your royalties for each sale will be. Customers see the price as the commission percentage, plus the base price. This fine grained control over how much you make on each design is brilliant and a nice step away from having a rigid commission structure. Zazzle has one of the best design creation/preview tools that again gives you a fine grained control. 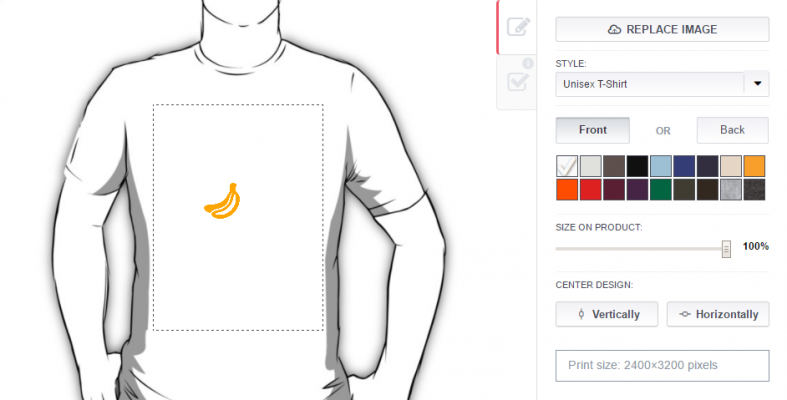 You can upload a design or even just put text directly on the shirt through the tool. The ability to resize, move, rotate etc. gives you complete control. Some POD services just attempt to make you design fit the item of clothing which sometimes does not give you the result you want. With Zazzle you don’t have this worry. Why just target t-shirts when you can effortlessly drop your design on a massive number of other products? This is where Zazzle really shines as it has hundreds of products ranging from shirts to invitations, cups and mugs, phone cases, posters and much more. What better way to increase your profits that by expanding your horizons and reach? 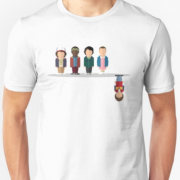 This entry was posted in T-Shirt Design Articles. Bookmark the permalink.